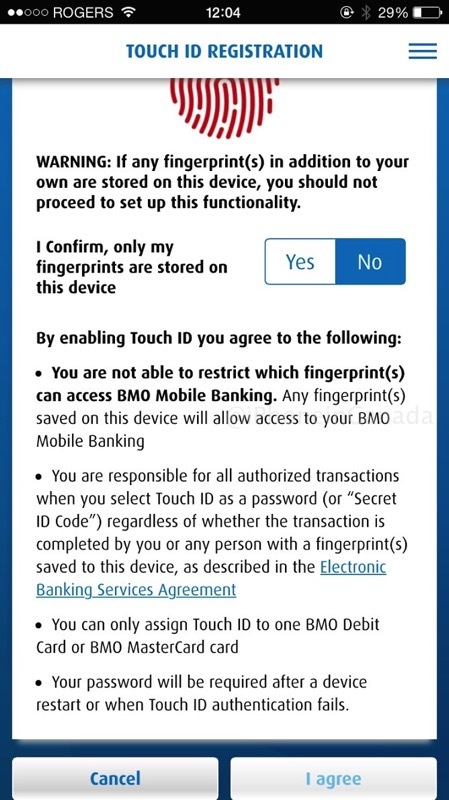 BMO Mobile Banking gained Touch ID last year, but a recent update disabled the fingerprint reader, frustrating iOS users. You know what’s worse than not having Touch ID? Having it taken away. 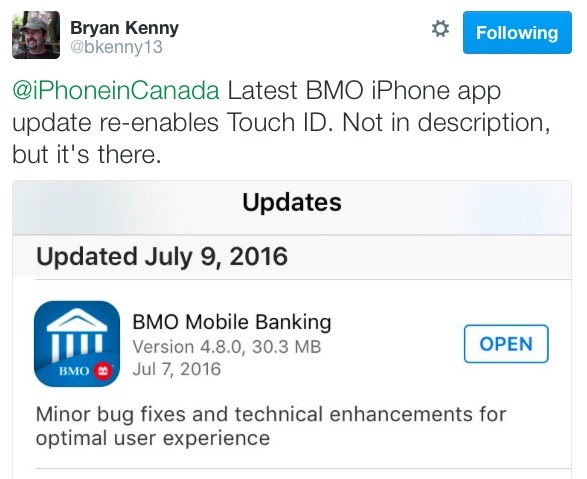 If you’ve been waiting for Touch ID to ‘return’ to the BMO iOS app, this latest update has done just that. Click here to download BMO Mobile Banking in the App Store.